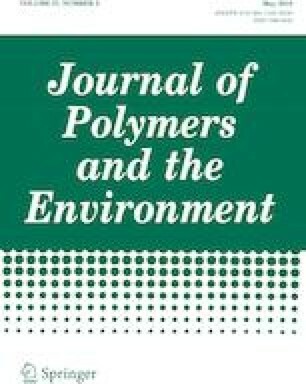 Novel poly(3-hydroxybutyrate-co-3-hydroxyhexanoate)(PHBH)/fibrillated nanocellulose biodegradable composites for additive manufacturing were produced and characterized. Fibrillated nanocellulose (NCF) was isolated with high energy ultrasonication and dispersed via solution mixing in the polymer matrix. Composite filaments having a nanofiller concentration of 0.5 wt%, 1 wt% and 3 wt% were then extruded, characterized and used in fused deposition modeling (FDM). Neat PHBH powder was then manually added to prepare a solid mixture at different fibrillated nanocellulose concentrations (from 0.5 to 3 wt%), to be then used to feed an extruder. SEM observations on filaments and 3D printed samples evidenced the good dispersion of fibrillated nanocellulose inside the matrix with the presence of agglomerates at higher NCF contents. The beneficial effects of the fibrillated nanocellulose in terms of stress at break and of elongation at break showed a maximum at a fibrillated nanocellulose content of 0.5 wt%. Moreover, the presence of fibrillated nanocellulose did not affect the thermal degradation behaviour of the materials, and also the glass transition and the melting temperatures were not influenced by NCF addition.